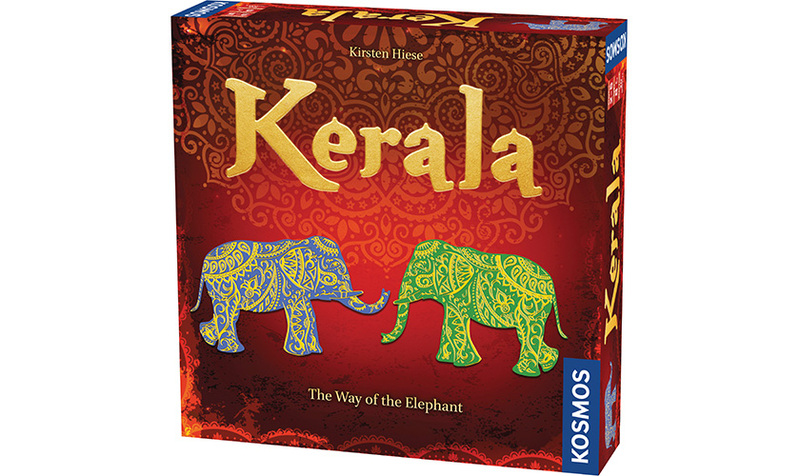 Welcome to the elephant festival in the Indian province of Kerala! Exquisitely decorated elephants parade the streets. The celebration is alive with color and music. To participate in the revelry, you want to fashion the most elegant platform for your elephants. 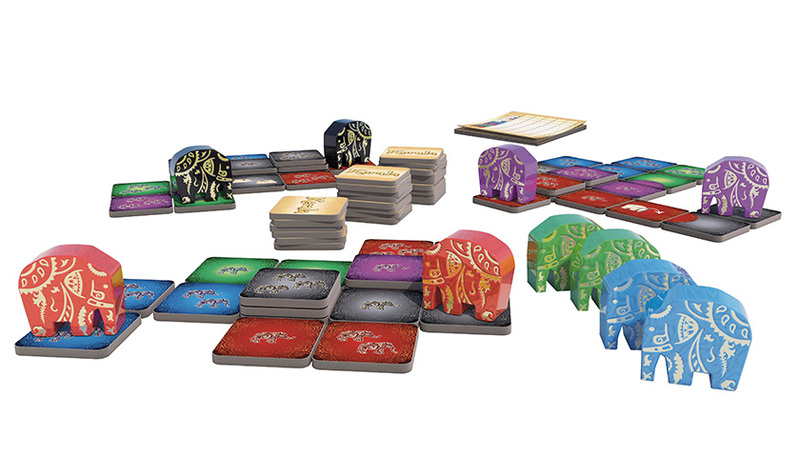 You want your festival platform to have at least one tile of each color, with all the tiles of a color contiguously placed, and showing as many elephant symbols as possible. 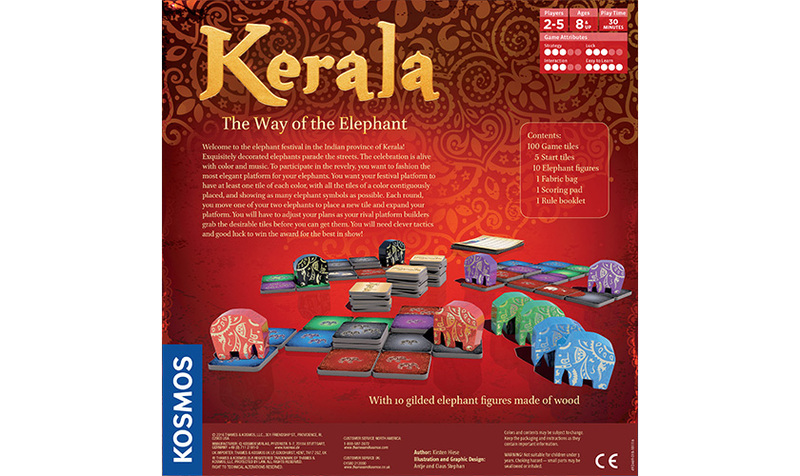 Each round, you move one of your two elephants to place a new tile and expand your platform. You will have to adjust your plans as your rival platform builders grab the desirable tiles before you can get them. 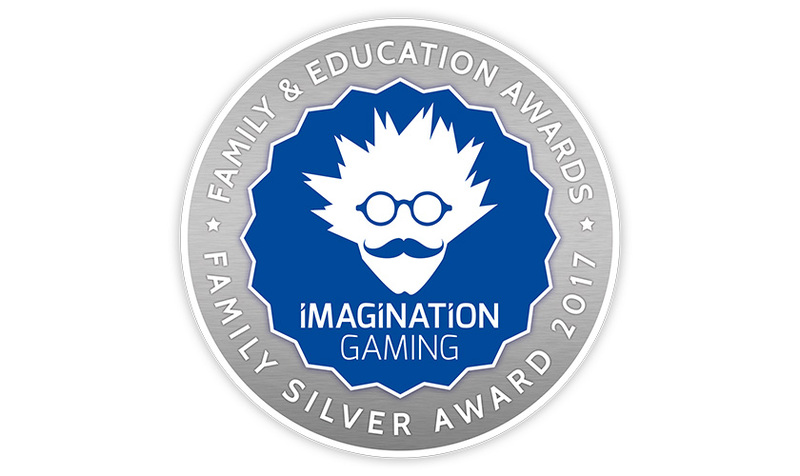 You will need clever tactics and good luck to win the award for the best in show!